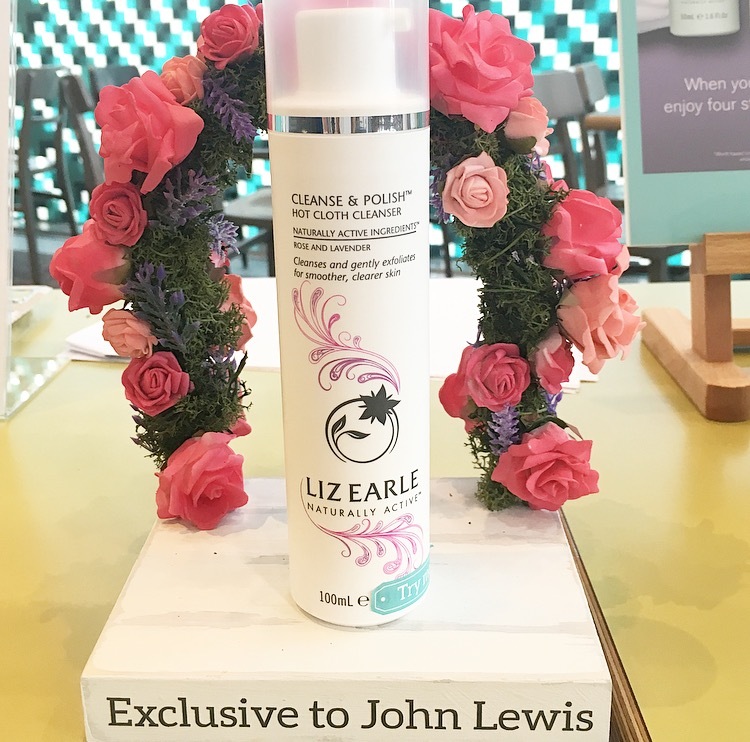 On Wednesday I was lucky enough to go to the Liz Earle VIP event in John Lewis, Cardiff. We were greeted with some lovely friendly faces and a choice of fresh beverages. I was the first one there and I was the only blogger too so I seized the opportunity and took plenty of photographs before everyone else arrived. The evening was centred around the new Rose and Lavender 'Cleanse & Polish' which is now a permanent product and the great offer of which you receive a free set of travel friendly products worth £25 when you spend over £45. Let's take a step back to a good few years ago when I was recommended Liz Earle products by my Mum and Aunty. I was in my late teens and I had never really thought about 'skincare' before. I've had eczema since I was a baby and because I've always had dry skin, I never suffered with spots or oily skin throughout my teenage years. However, I went to university and many things started to change! I would say now my skin is more dry/combination. Both my Mum and Aunty have been using Liz Earle products for years and they both have a different skin type to me as well as having mature skin. The first product I bought was the 'Cleanse & Polish' and at the time I felt like it was quite a lot to spend on skincare, especially when I didn't take much care of my skin at that time. However, after the first couple of uses I knew it was a genius product! Now, a good 7 years after I started using Liz Earle skincare I am still using her products every single day. After everyone arrived we were all given a raffle ticket and offered some lovely macaroons and canapés. Everyone was really friendly and a few of the other attendees knew each other from previous events which was nice to see. One lady was even recommending that I put my 'eye brightener' in the fridge to really cool my eyes down once applied to cotton pads. Before we were introduced to the offers we were given a chance to be creative. Matthew, Deb and Leah who were hosting the event were all wearing these lovely corsages made with roses and lavender stems. We were each given some foil, a safety pin, a rose and some dried lavender to create our own individual corsage. I've been to a few beauty events now and this has to be one of the most fun and creative things I've done! Matthew who invited me along to the event was talking to us all about the Rose & Lavender cleanse and polish and how it was similar to the original multi award winning hot cloth cleanser. Matthew continued by saying "...customers use the original in the morning and then use the rose & lavender in the evening for relaxing and calming the skin before bed..." which I thought was perfect for me. Currently, apart from micellar water, exfoliating and washing my face I haven't got a skincare regime so I knew that grabbing something from this event would be perfect for me. Taking on board what Matthew and the team were saying I bought the two cleanse & polishes including 3 muslin cloths for £29.50 and they came beautifully packaged. Deb and Leah who also work for Liz Earle demonstrated how you can give yourself a face massage and what techniques to use. I didn't try this on the night as I had make up on and try to touch my face as little as possible but I am definitely going to give this a go when I use my cleanser. I also gave myself a spritz of the Botanical Essences they had on show. I currently own No. 100 which has notes of Damask rose and orange flower, it is very floral but I love how it doesn't smell like your average perfumes. My Birthday is in August and I think I will be asking for No. 1, the original fragrance from Liz Earle which contains 98% natural ingredients. Want to try Liz Earle? If you haven't tried any products from Liz Earle before I would definitely recommend a visit into your nearest John Lewis, Boots or department store. In fact they are now offering complimentary services where you can receive massages and even a bespoke skin test. Suitable for vegetarians and they do not test their products on animals and are certified under the Humane Cosmetic Standard by Cruelty Free International. "I would describe my skin as normal to dry. I use the 'Deep Cleaning Mask' occasionally and this works really well for me-I feel clean, clear and cleansed afterwards! I love the smell of Liz Earle products, they smell very expensive and spa-like." "My skin is dry/normal. I love the 'Cleanse and Polish' especially the special ones they bring out. I'm currently using the 'Orange Flower and Chamomile' edition. I used to love the feel and texture of the 'Skin Repair Moisturiser' but it isn't strong enough for me now so I am now using the Superskin Moisturiser. Oh, I also love the Gentle Exfoliator I use it once a week with Cleanse and Polish. Liz Earle is great and there isn't much that I don't like!" My friend Adele actually told me about the event and I was so glad I was able to attend. Thank-you to the lovely team in John Lewis for having me, I look forward to the next one! 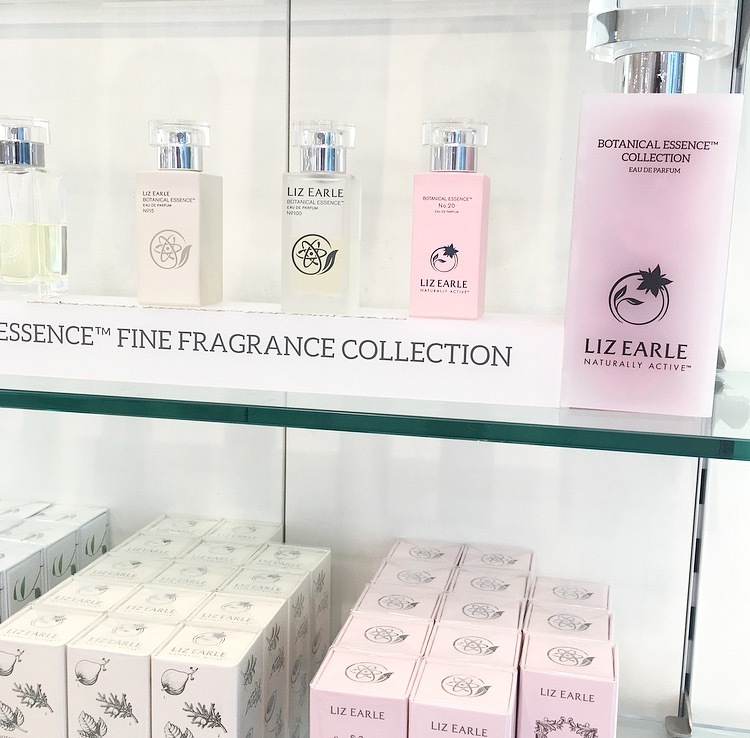 Have you used any Liz Earle products before? This is such a great post! I adore Liz Earle and when I was last in Cardiff I visited the boots and smelt the rosè cleanse and polish and it smelt incredible! It sounds like you had a lovely time at the event! I really want to try the superskin eye cream next!